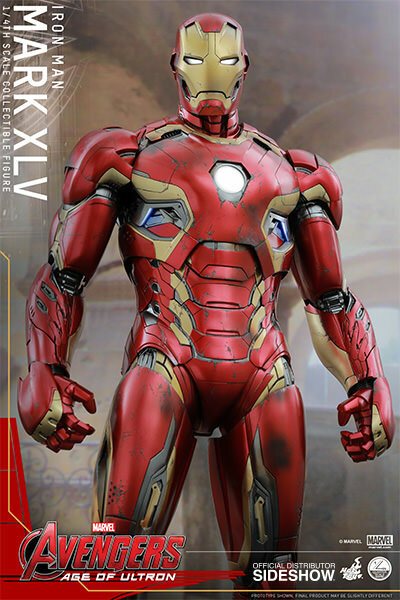 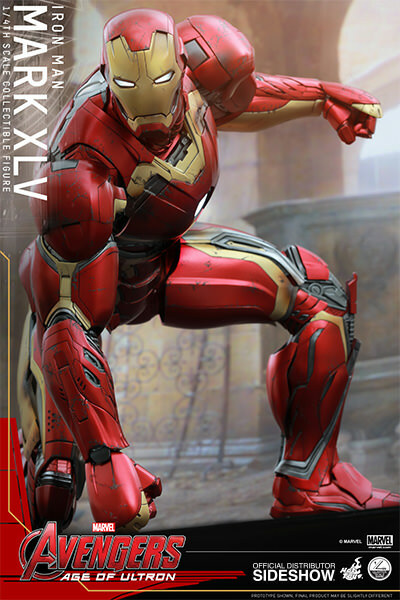 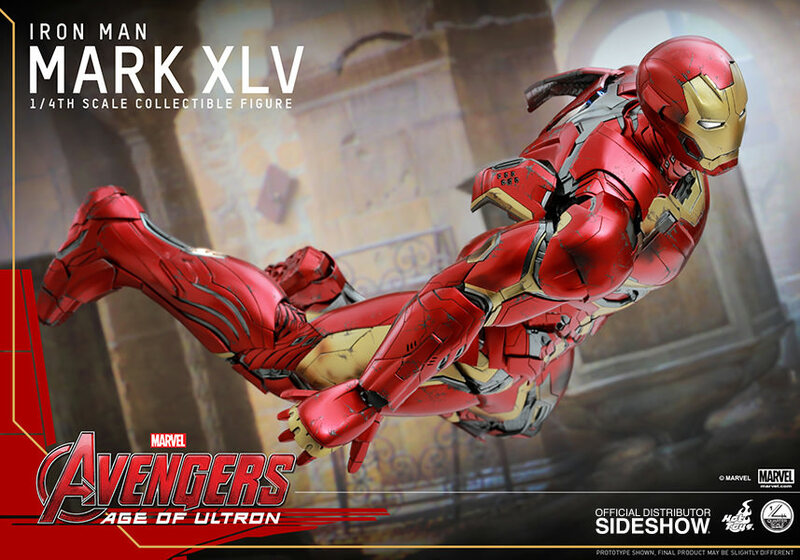 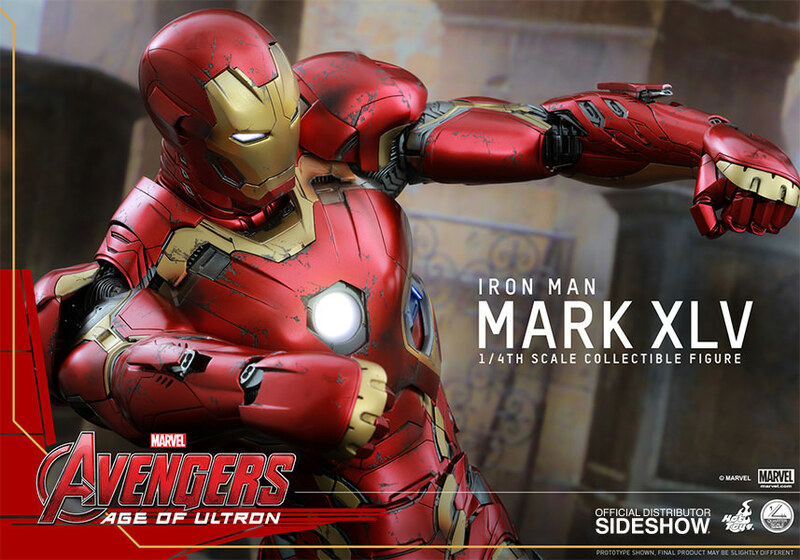 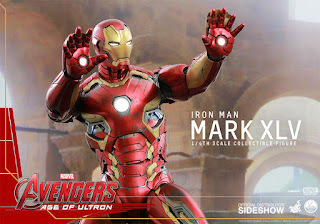 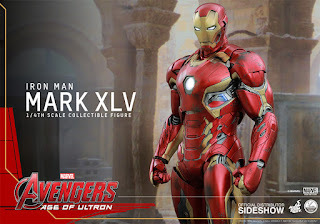 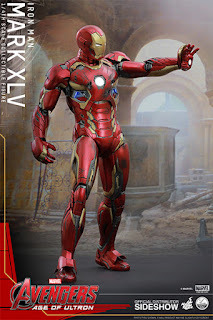 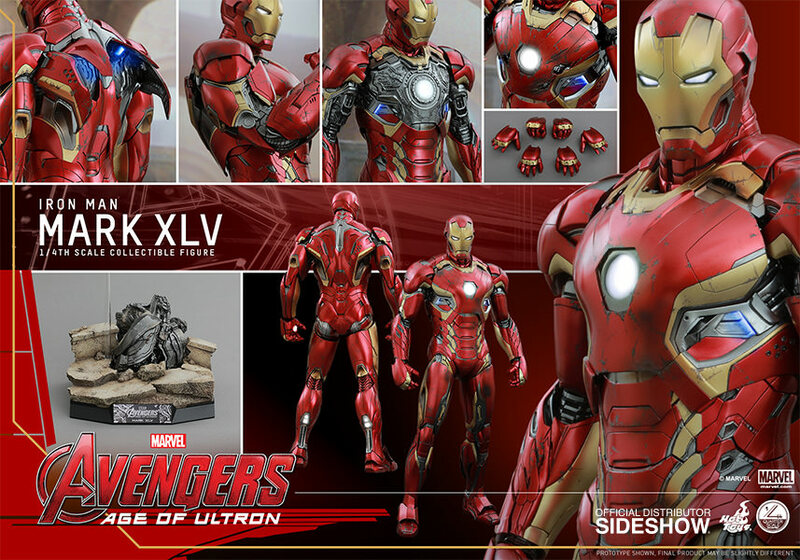 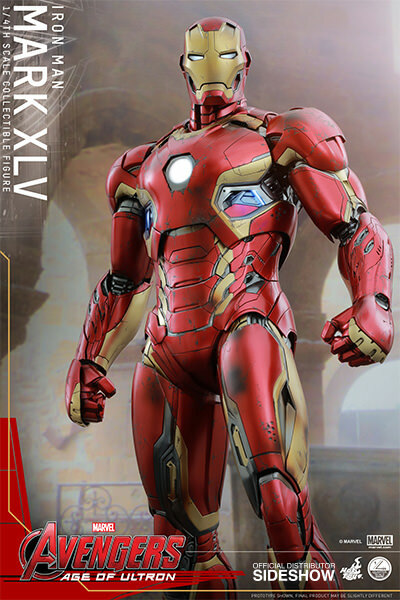 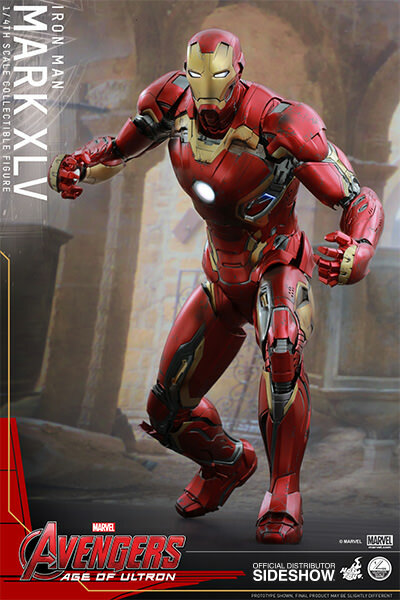 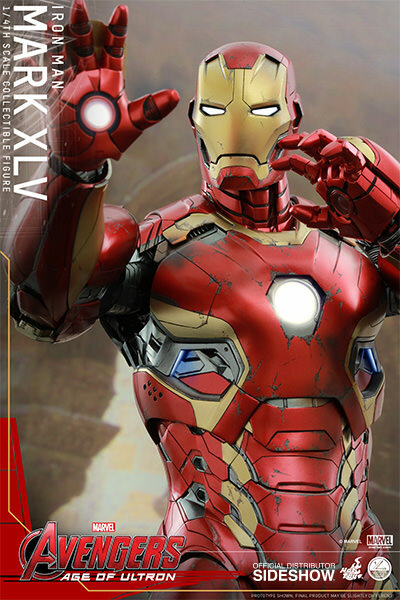 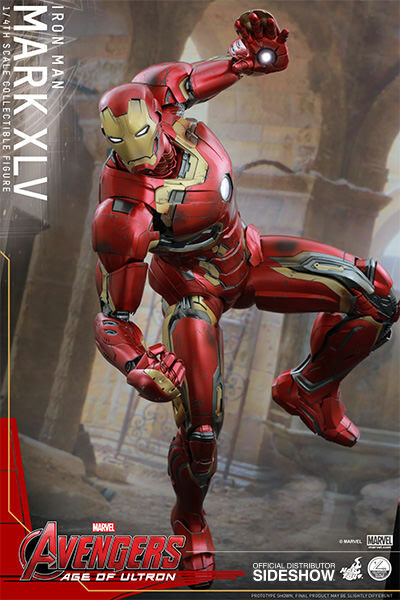 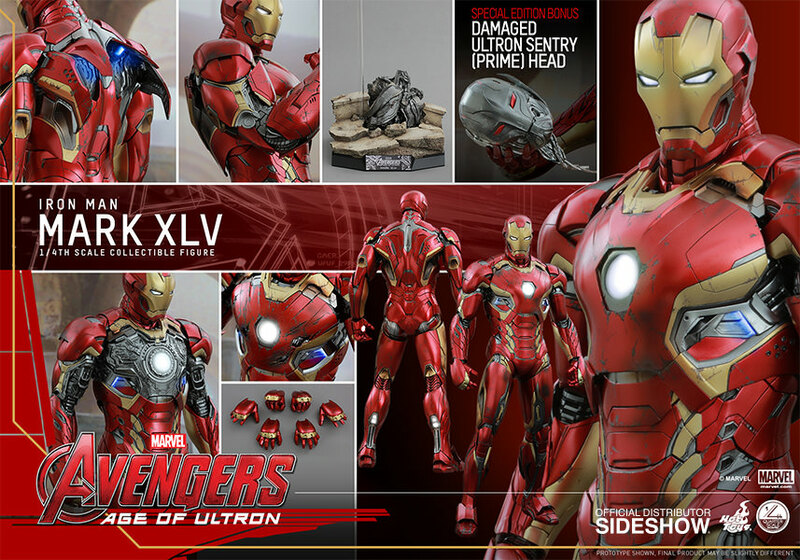 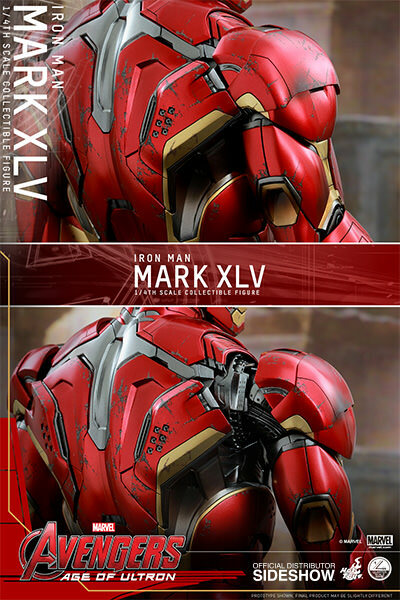 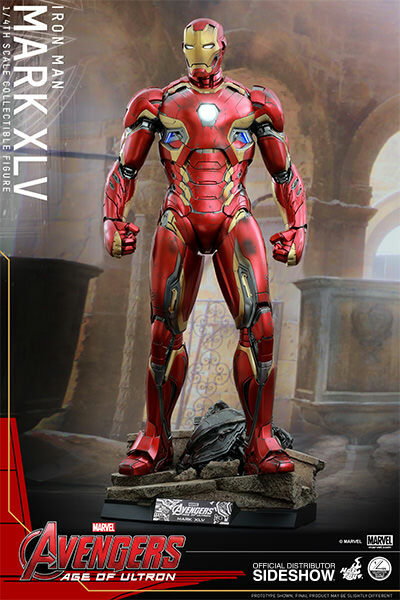 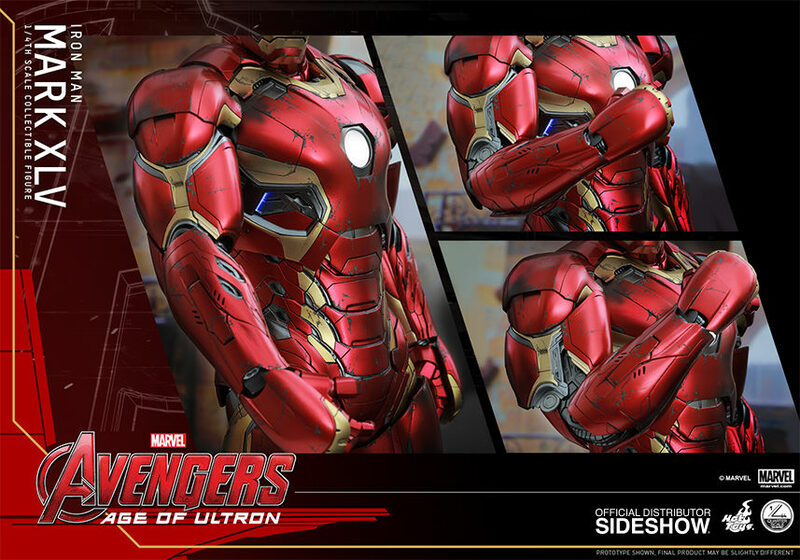 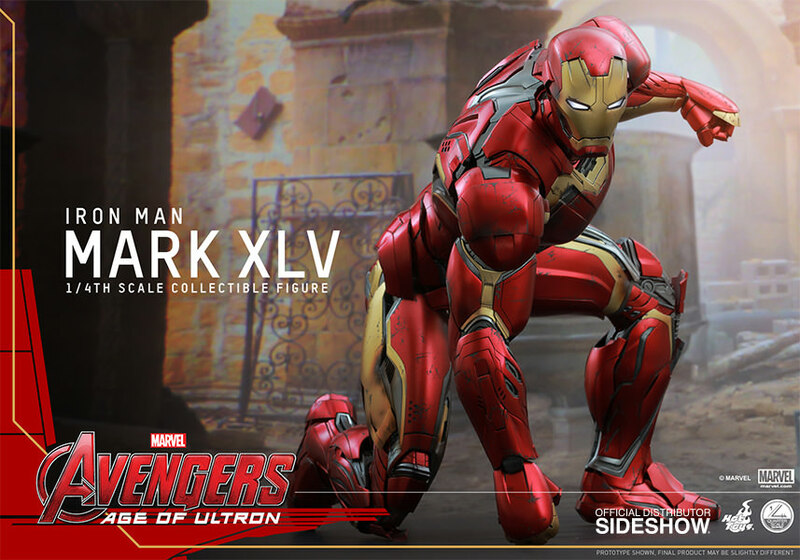 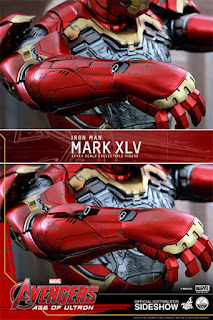 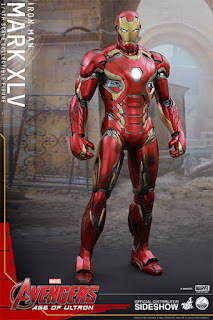 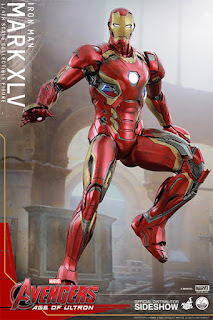 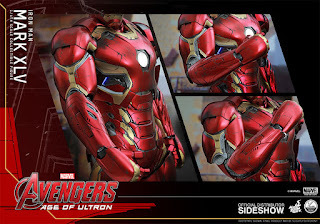 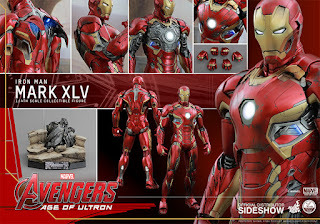 For those who are into Quarter Scales and Iron Man figures, Hot Toys have released amazing pictures of the new Mark XLV armor from The Avengers 2 AOU film and even better news, pre-order is already available through SideShow! 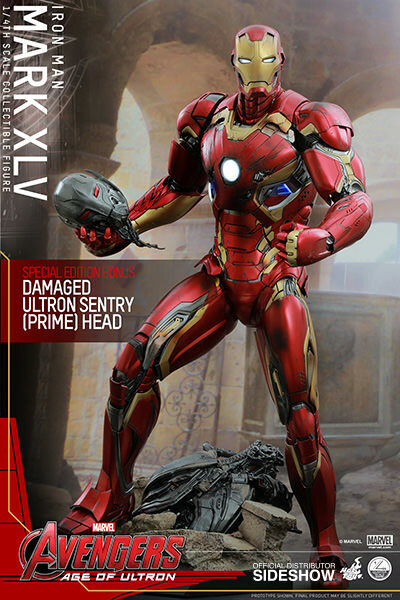 This release will have the regular edition and the exclusive edition which will include quarter scale battle damaged Ultron Sentry head! 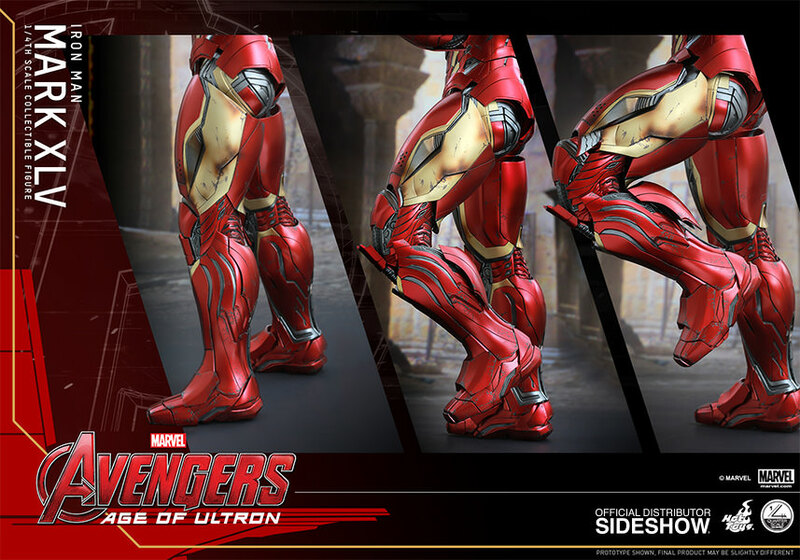 Check out the pics below and read on further for more officials details!